Welcome to the Turks and Caicos Islands! It’s tough to know where to start. And if you’re anything like me, planning your trip will be put on the backburner as you take care of day-to-day life. That’s where we come in. Turks and Caicos Reservations is available to help you every step of the way to create a vacation of a lifetime. And we’ve created this guide below to help you start. —Val Kalliecharan, your island expert. What Makes the Turks and Caicos Paradise? Turks and Caicos has quietly become one of the top destinations for couples and families in Caribbean. In fact, the island of Providenciales, or “Provo” as we locals call it, in Turks and Caicos was TripAdvisor’s pick for the world’s top island in 2015. After Providenciales was named the top island in the world, sublimely beautiful Grace Bay Beach was ranked as the #1 beach in the entire world by TripAdvisor users in 2016. Back on dry land the Turks and Caicos offers fine-dining, restorative spas, golf, tennis, horseback riding, duty-free shopping and casinos. Its vibrant, healthy turquoise waters offer one-of-a-kind snorkelling, scuba diving, deep-sea fishing, sailing, kite boarding, jet skiing, swimming and just about anything else you could ever want to do on the water. 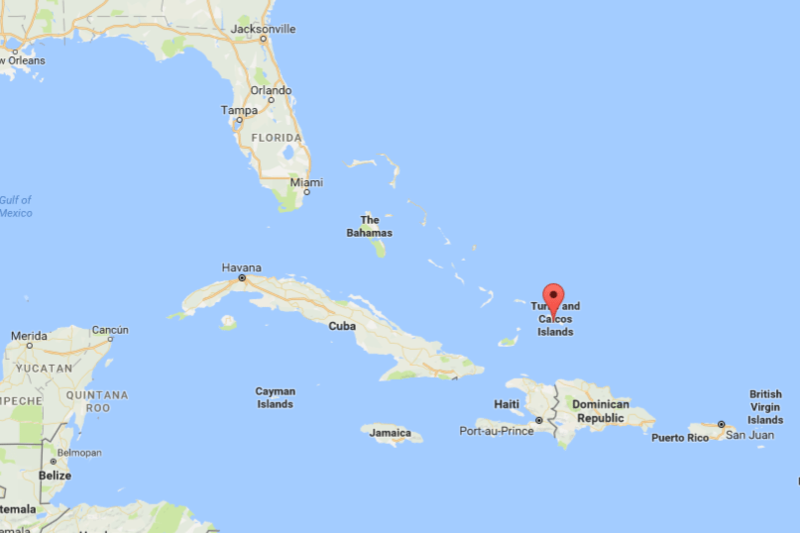 Where Are the Turks and Caicos Islands? The Turks and Caicos are a string of islands located just south of the Bahamas, less than an hour by air from Miami, Florida. The Turks and Caicos are a string of islands located just south of the Bahamas, less than an hour by air from Miami, Florida. Flights from most major North American hubs take less than 3 hours to reach PLS – Providenciales International Airport. Now where in Turks and Caicos should you stay? PROVIDENCIALES Providenciales (aka “Provo”) is home to Grace Bay Beach—the world’s best beach. Provo is where you’ll find many beachfront luxury resorts and restaurants, and the airport (PLS). Most international flights fly into Providenciales. This island has a little bit of all the best parts of Turks and Caicos in one place. However, if time permits, it’s worth venturing out to visit some of its siblings to get a true feel of what the Turks and Caicos is really about. NORTH CAICOS North Caicos is only accessible from Providenciales by ferry. The ferry terminal is approximately a 20 minute drive from the airport in Providenciales. A slight increase in rainfall it receives enables it to be the most lush and produce-bearing island in the clan. Many of the people from North are known for practicing bush medicines and herbal remedies, but the vibrant green landscapes are only part of the attraction – the island’s residents are friendly and welcoming and its wide, untouched beaches are the real lures. Read more.NORTH CAICOS North Caicos is only accessible from Providenciales by ferry. The ferry terminal is approximately a 20 minute drive from the airport in Providenciales. A slight increase in rainfall it receives enables it to be the most lush and produce-bearing island in the clan. Many of the people from North are known for practicing bush medicines and herbal remedies, but the vibrant green landscapes are only part of the attraction – the island’s residents are friendly and welcoming and its wide, untouched beaches are the real lures. Read more. MIDDLE CAICOS You can drive from North Caicos to Middle Caicos over a causeway. While all of Turks and Caicos is blessed with a bounty of natural assets, Middle has the largest land area and boasts the richest environmental treasures including a unique and intricate cave system, historic Lucayan ruins and breath-taking beaches. SOUTH CAICOS South Caicos is an isolated cay that is just 10 minutes by plane from Providenciales. The ferry takes about 90 minutes. South Caicos resembles the Caribbean of days gone by. Marine life is what South Caicos is all about. Boat building and fishing have been the way of live in South Caicos for generations and not much has changed. The health and wealth of the marine life here is something taken very seriously and is also one reason the esteemed School for Field Studies decided to set up a campus here. PARROT CAY This exclusive private island luxury resort is less than 30 minutes by ferry from Providenciales. This exclusive, private island is known for its celebrity guests (some of which have homes here such as Bruce Willis and Donna Karan) and its award-winning holistic spa (COMO Shambhala Retreat). Parrot Cay is off limits to non-hotel guests or residents, so ask us how to book a stay there, followed by a few nights on Grace Bay Beach. SALT CAY A 20 minute flight from South Caicos, exclusive Salt Cay is the perfect place to go scuba diving or just escape from everything. This is a very small island with only a hundred or so residents and a few guest houses. A visit to Salt Cay is truly a unique experience – almost like going back in time. In fact, it’s likely that Salt Cay gets more visits from mammals than people. Its deep waters are a virtual highway for migrating humpback whales in the winter. GRAND TURK The capital of Turks and Caicos, Grand Turk, while smaller than Provo with fewer services and amenities, is the seat of government. Grand Turk is where Christopher Columbus first arrived when discovering the new world and today, it’s where the hundreds of thousands of cruise ship visitors arrive. The island is ideal for history buffs and scuba enthusiasts as it houses an impressive museum and remarkable dive sites. PINE CAY Another private island resort, Pine Cay has its own airstrip, and offers complete seclusion and relaxation.Guests love Pine Cay for its solitude – there are no phones and no cars and only a handful of private homes in addition to the dozen guest suites at the resort. Its beach is among the best in the world and a great place for a day trip by boat from Providenciales. Do you have more questions about planning a trip to Turks and Caicos? Are you wondering what the weather is like, and when’s the best time to go? How about the currency? Or hospitals? Please visit our section on Turks and Caicos FAQ’s. We’re always here to help – click above to contact us via live chat, call us toll free or email us here.